A manual technique which can be performed on most joints. It is a small, fast movement performed at the end of a range. It is used to increase mobility and decrease pain, and to improve alignment and function. All parts of the body are connected in some way. Should you have a long term musculoskeletal issue then it is likely that your initial problems will cause problems elsewhere in the body. For example, sore calves can cause tight hamstrings, followed by a sore lower back, pain and weakness in the upper back, sore shoulders ….and so it goes on. When one part of the chain is weak or damaged it will affect other parts of the chain. 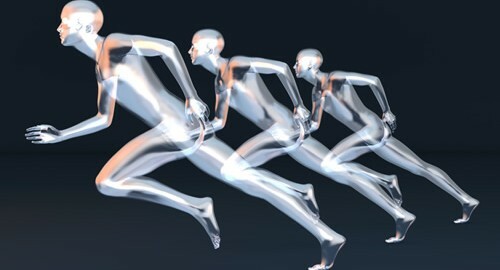 When recovering from injury it is necessary therefore to retrain the kinetic chain so that all parts work effectively. Retraining the core is fundamental to this.